We service all makes and models of washing machines in the Greater Brisbane Area. Washing machines are an essential appliance for all of us. Often the importance of a washing machine isn’t understood until it stops working, and starts letting us down when it’s most needed. There’s nothing worse than the build up of dirty washing and running out of clean clothes to wear, and you probably don’t want to be sitting in a dodgy old laundromat for hours in the middle of the night, either. It’s surprising how fast the washing can build up in just a matter of days. When a washing machine unexpectedly breaks down, you need a service. 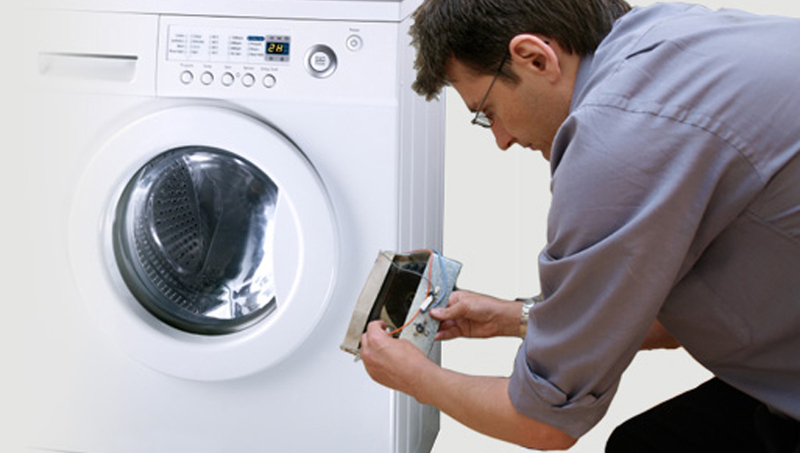 Always Prompt Washing Machine Repairs Brisbane have a team of customer-friendly and highly motivated washing machine repair technicians, who are trained in the repairs of all major washing machine brands including Bosch, Samsung, Whirlpool, Hoover, Electrolux, Fisher & Paykel, and more. For years, we have been repairing, installing and servicing all major brands of washing machines throughout Brisbane and the Greater Brisbane area. We have gained a reputation due to our prompt services, experienced technicians, professionalism, and competitive prices. We offer discounts to students and pensioners, and accept all forms of payment including cash, Master card, VISA credit cards, and Eftpos. If you are experiencing any problems with your appliances or washing machine, feel free to contact us for a quote. At Always Prompt Appliance Repairs, we take pride in quickly coming to the rescue. We will promptly attend to your washing machine, while keeping everything very easy and stress free for you. We offer competitive pricing for a top quality job, payment is accepted via cash, mobile EFTPOS, Debit, VISA and Mastercard.